Love spells - these fantastic magic spells can help you with your love life. If you want to attract someone new or get back with an ex, these love spells will work for you. Money spells - Want to have more money in your life? Maybe you need to manage your money better, or get a job promotion at work. Try one of our incredible money spells today. 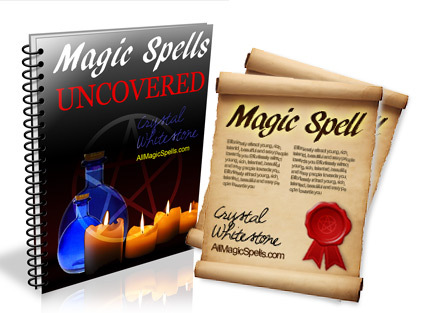 Powers spells - Increase your own magical power and energy, boost the power of any spells you cast, get what you want and control your destiny with our power spells. A wide range of general spells that don't fit into the specific areas of the other books. We have a spell for whatever you need, come and see! Protection spells - Protect yourself from curses, hexes, bad or negative energies, jealousy and evil in general with our protection spells. Healing spells - Use these healing spells to cleanse your aura of evil daemons, free and clear your mind of negative thoughts and energies, and heal your spirit.